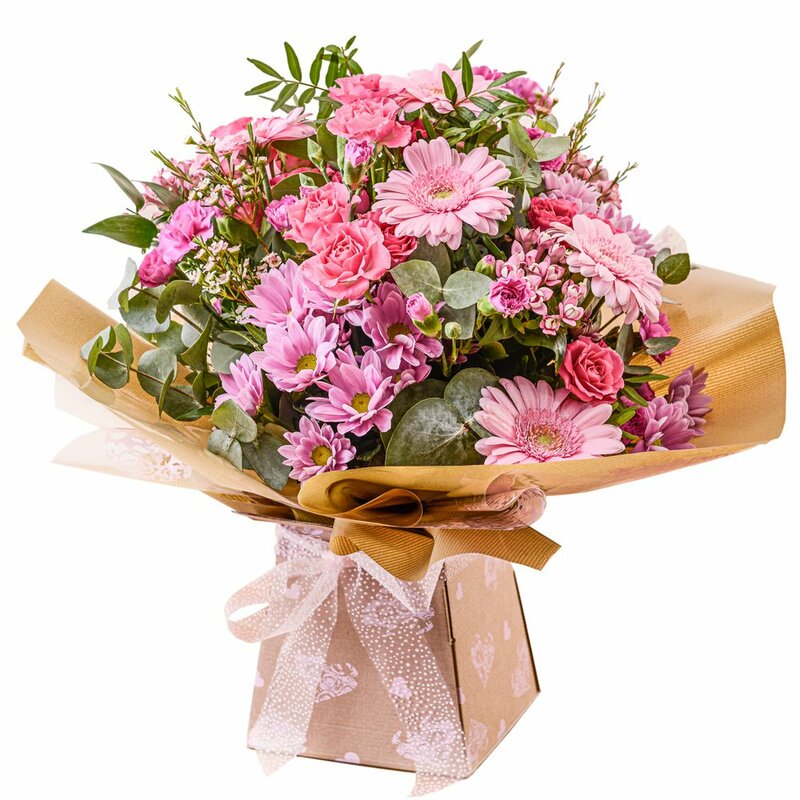 A celebration Hand Tied of flowers in a aquapacked box in pink shades and natural wrappings. Perfect for any occasion. 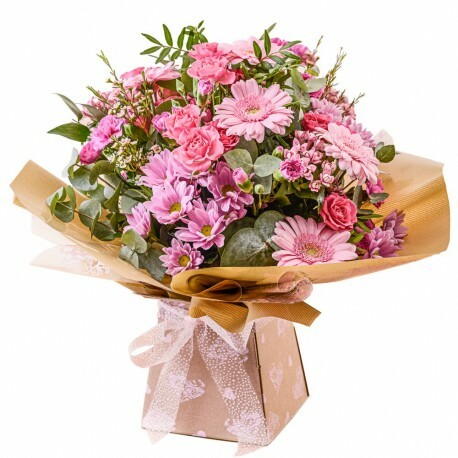 Whether you are celebrating a birthday, anniversary, the arrival of a new baby, or perhaps you would like to help a sick friend feel better, flowers are always an excellent choice to send!